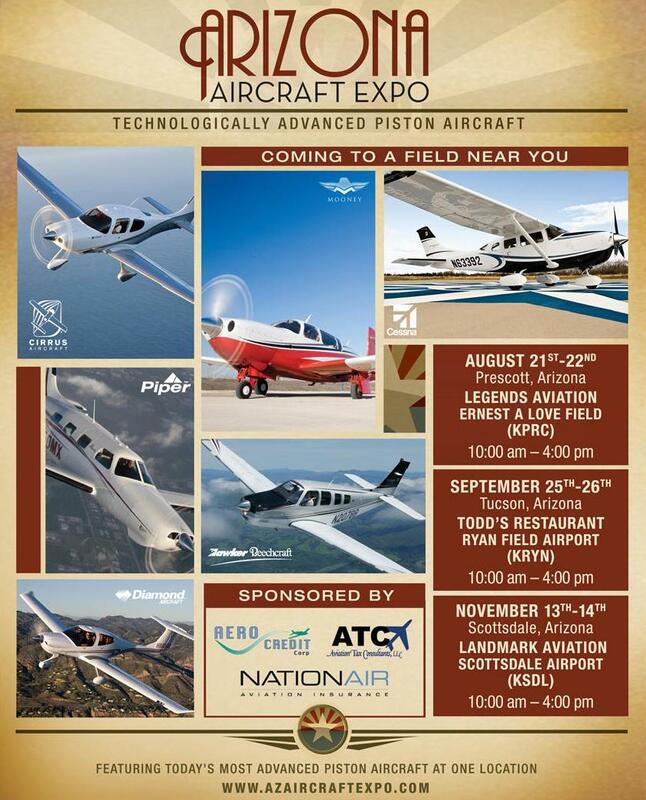 August 18, 2009, Arizona’s leading aircraft dealers have put together the first ever Arizona Aircraft Expo where the latest models of general aviation aircraft will be on display at one venue. Three separate events are scheduled to take place over the remainder of the year where prospective buyers can see the newest aircraft from Cessna, Cirrus, Diamond, Hawker Beechcraft, Mooney and Piper. These free events will also provide the opportunity to speak with representatives from NationAir Insurance, Aero Credit Corp., and Aviation Tax Consultants on the details of aircraft ownership.